“a Lamp to my feet. a Light for my path.” – John 20:28 | A LAMP TO MY FEET. A LIGHT FOR MY PATH. 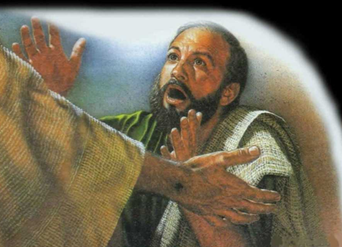 “My Lord and my God!” Thomas exclaimed to Jesus. We too can be like Thomas, at various stages of our lives. We too can become almost irreverent towards the Lord in those moments when our faith is tested by circumstances in our lives, or influenced by an increasingly Godless world. so that my faith may be strengthened. which saved me and gave me life. and for helping me truly acknowledge You as my Lord and my God!